Gold mirror - Gold Metal Wire Wall Mirror Ideal bathroom mirror or bedroom mirror. Wall mirror ideal for lovers of gold decor, this would add a touch of glamour to any decor theme. Would look fabulous above a bathroom vanityor dressing table . Also available in a full length design and in both copper and silver. 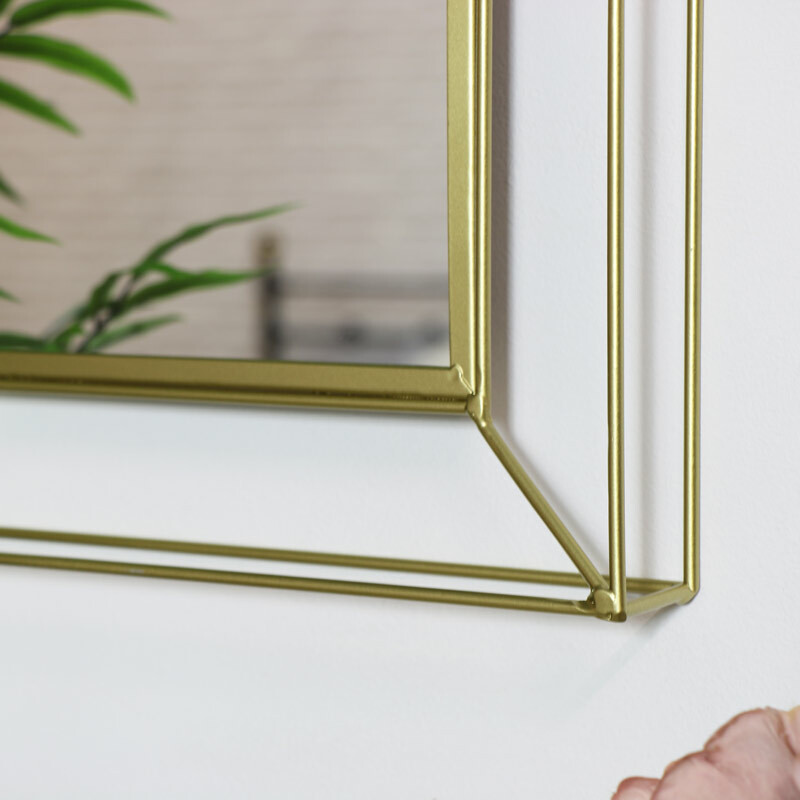 This mirror is a stylish home accessory in a fashionable shade of gold. Also makes the perfect make up vanity mirror which looks incredible too. 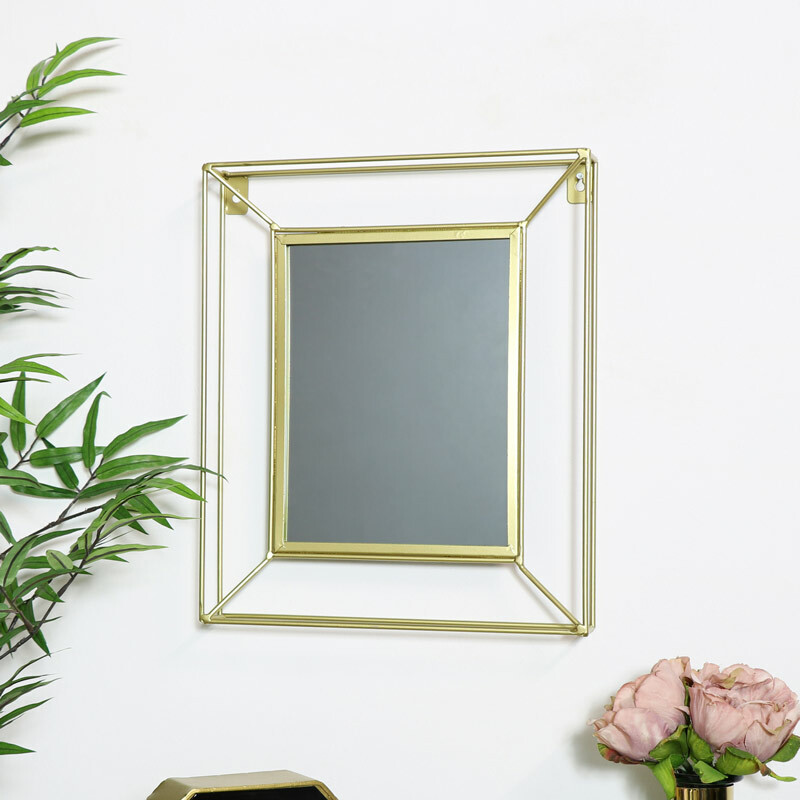 The mirror frame is finished in a gold colour. Easily wall mounted with hooks on the back. Our extensive range of wall and floor mirrors offer a great range of choice from the very large wall/leaner mirrors that add dramatic effect to the smaller vanity wall mounted styles, perfect for bathrooms. A range of style, colours and finishes from the ornate French and shabby chic to the more retro and industrial.